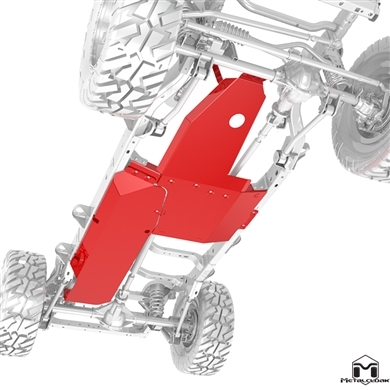 Taking advantage of MetalCloak’s Memorial Day free shipping promotion, I pulled the trigger on their UnderCloak system for Rube. The system comes together to protect the motor, oil pan, transmission, transfer case and gas tank all while replacing the weak stock cross-member with a much stronger piece. Keeping with the theme of their signature control arms, the cross-member comes coated in black zinc while the skid plates are finished in clear zinc. The zinc provides additional protection against the elements, helping stave off corrosion. The first time I really got Rube off-road, at the Gulches of Indian Mound in Waterloo, South Carolina, the front differential cover took a pretty good shot from a rock. It highlighted the need for extra protection in this crucial area. Since I had just ordered the MetalCloak UnderCloak, and that meant some shop time was imminent, I figured I’d just go ahead and get differential covers as well. 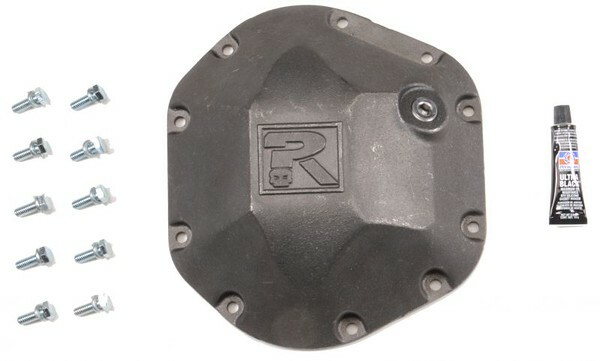 I decided to go with the Riddler Manufacturing differential covers, as a friend of mine whose opinions I trust, especially when it comes to product reviews, speaks very highly of them. Since purchasing Rube, it’s been my intention to document both the build as well as the journeys taken in Rube. I’m finally getting around to launching the blog / website, but you can also follow along on my WranglerForum build thread, or on Facebook, Instagram or Twitter!